FOR FULL SCREEN SHOT: Click image ABOVE for .JPG (83K) OR download the .GIF HERE (258K). Hello fellow Elites, Class of '91! 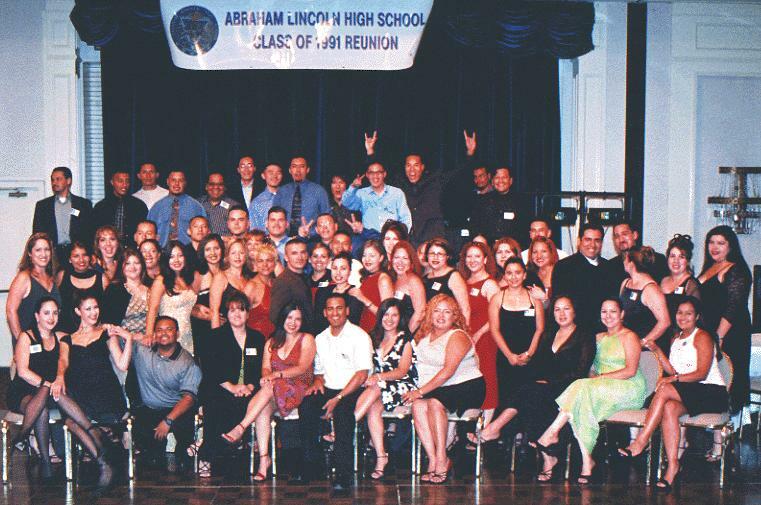 Since the Reunion was such a success, we look forward to seeing you Saturday, November 17th at the 2001 Picnic/Get Together. The memory books of the pictures taken at the Reunion will be available then. Please check back to this page for updates (Hint: there's a link at the top of the page to sign up for emails when this page is updated). Please click the links at the bottom for a special message from our Reunion Committee. Please click on the left icon below to sign our guestbook and tell us what you think!